From my first steps into Chastain Park Amphitheatre I knew right away this was by far the coolest venue I have ever been to for a concert. The amphitheater was located within Chastain Park which is the largest city park in Atlanta. The band shell was set at the bottom of a sloped hill and the outdoor bleacher style seating extended upwards to where the whole venue is nicely tucked into its own little bowl and the sound would perfectly reverberate off of the curved slope. Tables were set up in the pit and lower part of the orchestra section as this venue allows guests to bring in their own food and beverage and many of the locals we saw had elaborate setups with prepared trays of food, tablecloths, candles and coolers full of whatever they wished. It was certainly an interestingly mixed age crowd as parents pass down to their kids some of the great music from years back and bring them along to concerts. 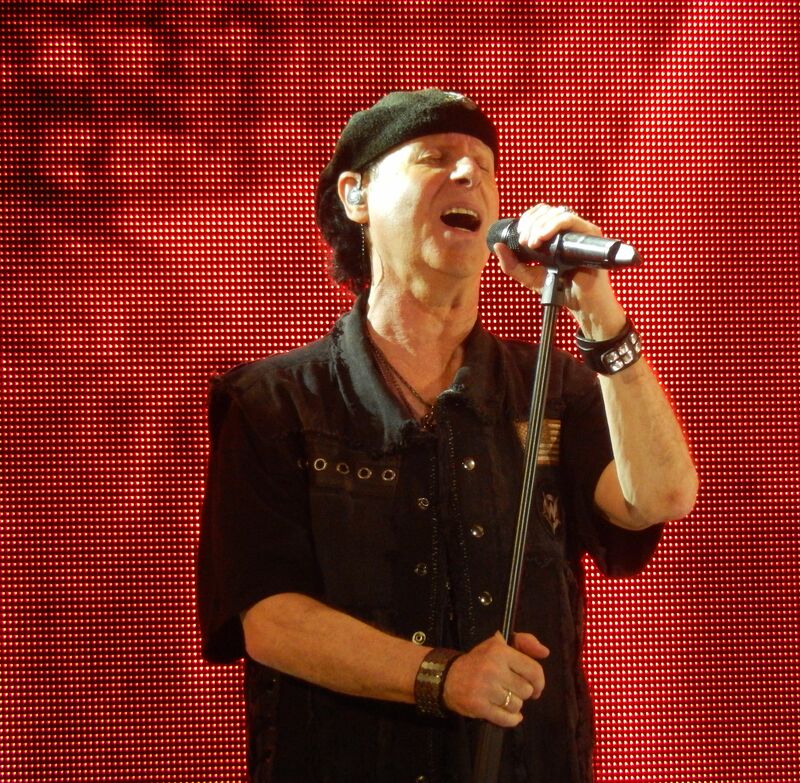 Also adding to part of the younger presence in the audience I figured that in this day and age, bands that have been around for decades are seeing a resurgence in exposure being included in games like Guitar Hero and Rock Band, including both Living Colour and Scorpions. Living Colour opened the show with their sound being a mix and infusion of heavy metal, punk rock, funk, and a little hip hop. 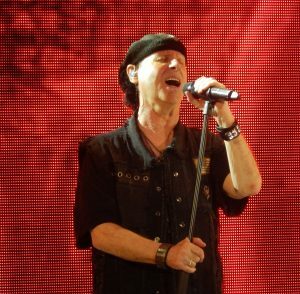 More known for being a ‘one hit wonder’ with their song ‘Cult of Personality’ most people do not know that the band has been around for over thirty years and had previously released five CDs and recently a sixth. Their set was solid and tight as these guys have been playing together for years, with this iteration of the band being together since 1992 (minus a five year hiatus from 1995 to 2000). The band took note of the literal buffet of food in front of them and when singled out one person even went up and offered the band one of the food trays from his table. Closing their set, once the band started the opening note of their hit the whole crowd rose and, as expected, finally got into the performance as lead singer Corey Glover worked his way into the crowd, circling the lower section of the bowl and stopping for pictures with fans as he sang. 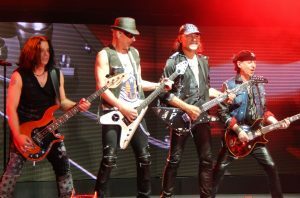 For the Scorpions it is meaningful to note that this band has some of the most enduring iconic and recognizable rock anthems and ballads, having been described as “the heroes of heavy metal” and the “ambassadors of rock”. The band was founded by guitarist Rudolf Schenker back in 1965 and then joined by vocalist Klaus Meine in 1969 and guitarist Matthias Jabs in 1978 to form the core of this band, and the legacy of their music has been influential across several branches of the metal family tree including Thrash, Hard Rock, and Nu Metal. 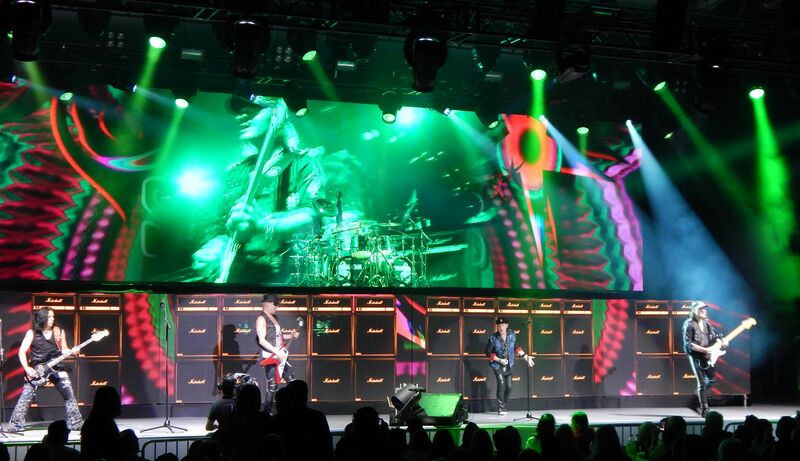 With the crowd fully knowing most of their bigger hits would be toward the end of the set there was an air of excitement as show time grew closer. 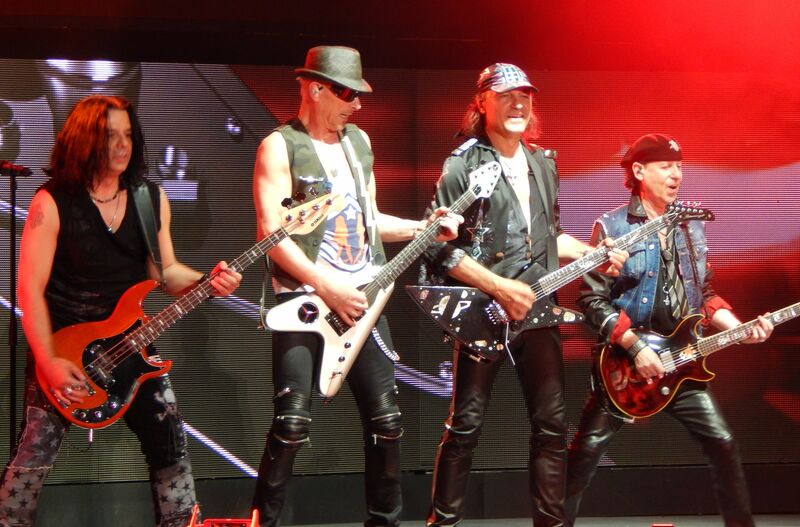 As soon as the Scorpions took the stage and launched into their new single “Going Out With A Bang” (aptly fitting for a band celebrating its 50th anniversary) the crowd was on their feet, cheering and singing along. I thought it was an incredible performance, the set list a mix of some of their deeper tracks from the 70s, a couple off their latest release and all of the hits that the crowd was expecting. 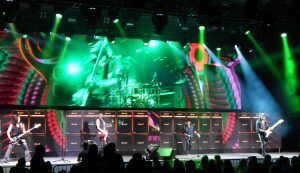 When any of their more recognizable songs started it was like a sea of air guitars in the crowd as their music and very distinguished hooks have certainly captivated their fans throughout the years, and this show was no different. 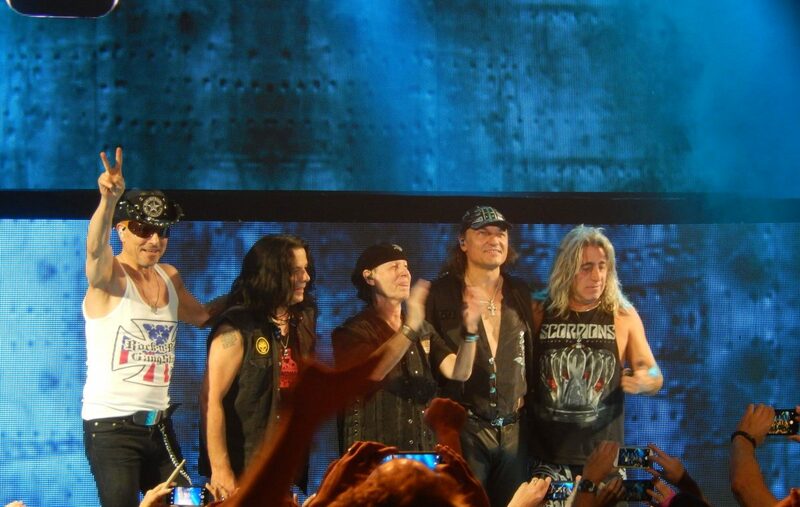 Fifty years of touring has not slowed this band down one bit, very high energy in their songs that rock and true passion and emotion in their ballads and the crowd soaked in and rocked out with every note. It was amazing to witness the amount of energy and stage presence the band, now in their 50s and 60s, had both performing and interacting with the audience. 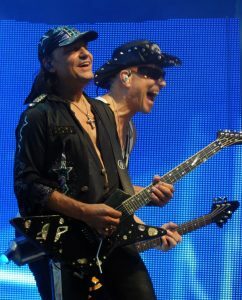 It was easy to see from their faces just how much fun they were having on stage. 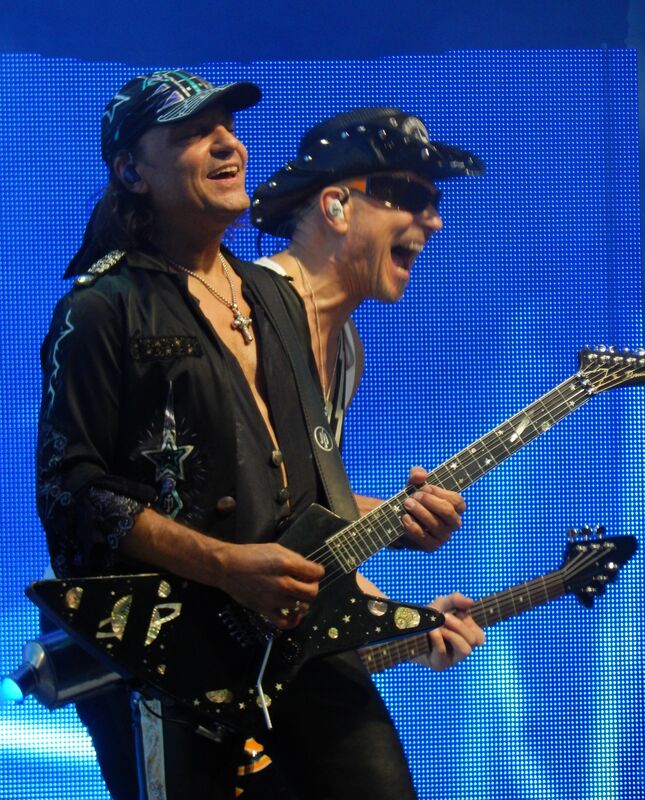 Rudolf is a man absolutely possessed with the energy he puts into his performance, and Matthias never stopped smiling the entire set as they unleashed their masterful guitar wizardry. Some of the shows I havve seen recently where the band is closer to retirement than their next groundbreaking release, often the singer is encouraging the crowd to help out on some of the parts that they used to belt out with ease back years ago, but now can not quite hit those same notes. This was not the case for Klaus, his voice sounded crisp and sharp. 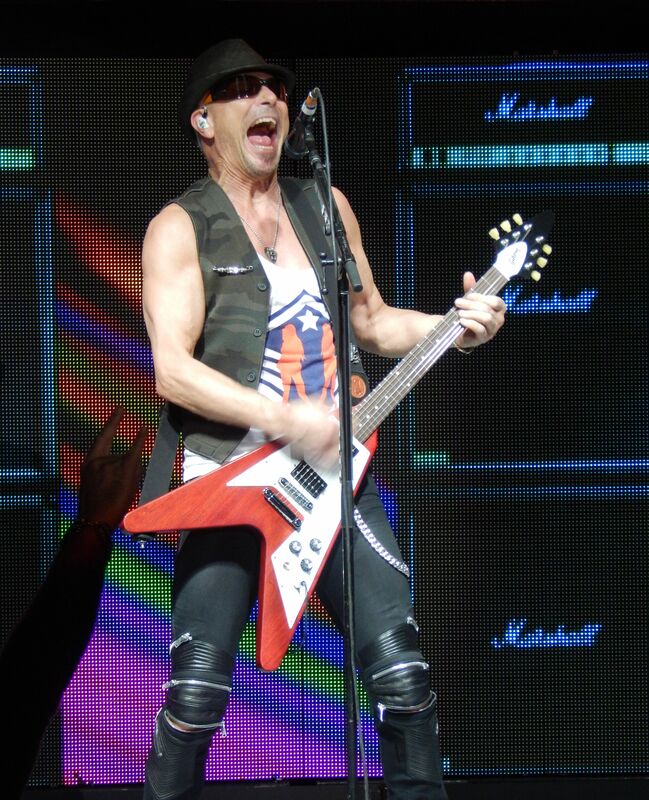 Sure the crowd was singing along with almost every chorus, but was certainly not carrying the load for this show. 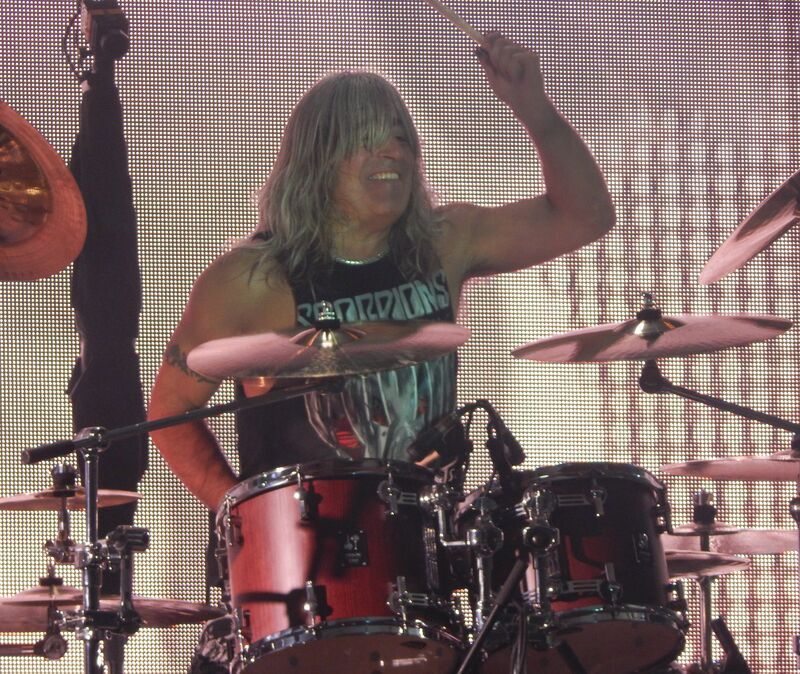 For this tour Mikkey Dee was recruited to sit in and play the drums. He was the drummer for Motörhead the last 23 years until Lemmy’s passing late last year, and he turned in a very solid performance for this show and was an excellent choice as he has a thundering presence behind the drum kit.